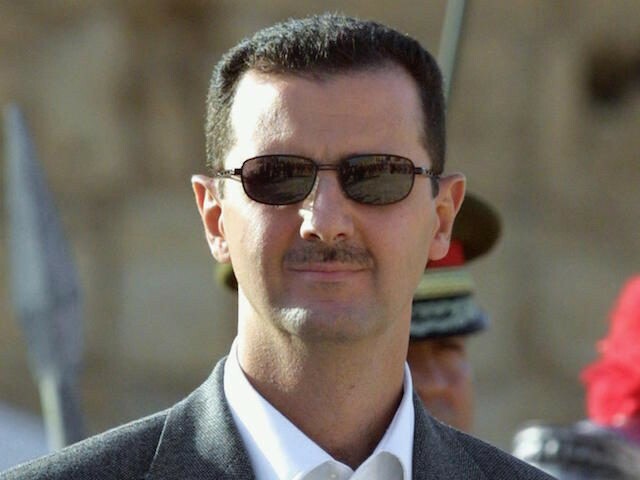 DAMASCUS (AFP) – Syrian President Bashar al-Assad has vowed to retake an area that supplies Damascus with water and rejected any negotiations on his departure at upcoming talks in Kazakhstan. Millions of people have been without water for weeks after fighting damaged key infrastructure in the Wadi Barada region outside Damascus that is the main water source for the capital. The government says former Al-Qaeda affiliate Fateh al-Sham Front, known previously as Al-Nusra Front, is present in Wadi Barada, and blames rebels there for cutting water to Damascus since December 22. “The role of the Syrian Army is to liberate that area in order to prevent those terrorists from using that water in order to suffocate the capital,” Assad told French media in an interview aired Monday. Assad’s forces have been battling rebels in Wadi Barada for weeks and the fighting has continued despite the start on December 30 of a nationwide ceasefire brokered by Russia and Turkey. Assad said the ceasefire was being “breached on a daily basis” and mainly around Damascus “because the terrorists occupy the main source of water” in Wadi Barada. He said “more than five million civilians have been deprived of water for the last three weeks” as a result of the fighting. The United Nations says 5.5 million people in and around Damascus are without water. Assad said that Fateh al-Sham is “occupying” the Wadi Barada region, 15 kilometres (10 miles) northwest of the capital. But rebels deny that the jihadists are in the area and say the water supply was severed after government strikes hit pumping facilities. Assad also insisted that the ceasefire does not include Fateh al-Sham or its formidable rival, the Islamic State group. On Monday, regime forces and fighters from Lebanon’s Shiite movement Hezbollah clashed with rebels and some Fateh Al-Sham jihadists in the Wadi Barada area, the Syrian Observatory for Human Rights said. On Sunday, two civilians were killed by regime fire and the area was hit by a dozen regime air raids after the failure of negotiations to repair the water plant at Ain al-Fijeh, the Britain-based monitor said. Assad also rejected any negotiations towards his departure from power at talks set to be held in late January in Kazakhstan’s capital Astana. “My position is related to the constitution, and the constitution is very clear about the mechanism in which you can bring a president or get rid of a president,” he said. “So, if they (the opposition) want to discuss this point, they have to discuss the constitution, and the constitution is not owned by the government or the president or by the opposition. “It should be owned by the Syrian people, so you need a referendum,” he said. The Astana talks, organised by regime allies Russia and Iran and rebel backer Turkey, aim to pave the way towards an end to a nearly six-year war that has killed 310,000 people and displaced millions. Assad has said Syrian forces are on their way to victory after they recaptured the northern city of Aleppo on December 22 with support from Moscow and Tehran. Since it started with the brutal repression of anti-government protests in 2011, Syria’s uprising has evolved into a complex war involving many players. On Sunday, commandos from the US-led coalition battling IS raided a village held by the jihadists in eastern Syria, the Observatory and the US-backed Syrian Democratic Forces said. The Observatory said at least 25 jihadists were killed in the two-hour raid on the village of Al-Kubar in the oil-rich province of Deir Ezzor.